Sarada Enclave is the project by Ranchi Buildcon Pvt. Ltd. located in Khardaha, Kolkata offering aesthetically designed and precisely crafted 2 BHK apartments. Sarada Enclave Kolkata is aiming to give its residents well equipped skilfully crafted apartments in really affordable and competitive prices. The project consists of 16 units spanned over 1 meticulously planned tower and is currently ongoing construction. Sarada Enclave, an ongoing construction residential project located in Khardaha, Kolkata by the well experienced Ranchi Buildcon Pvt. 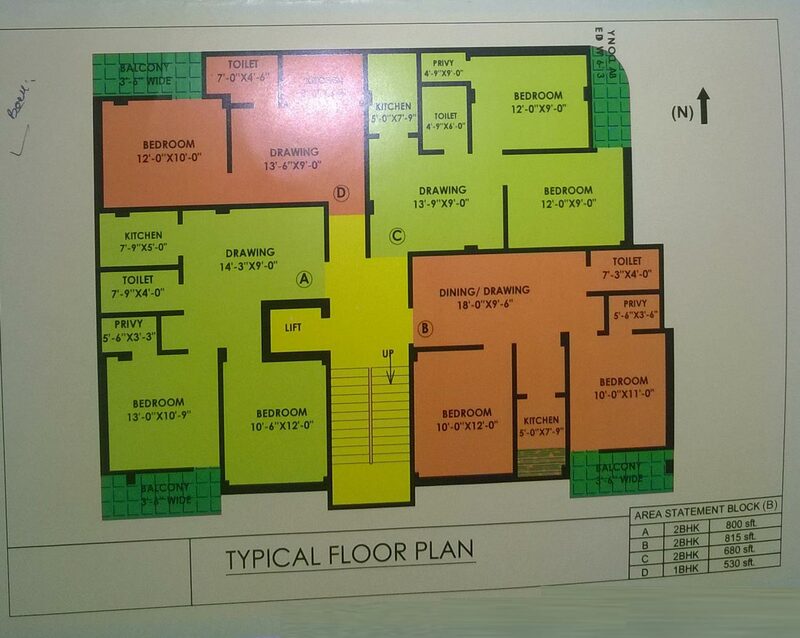 Ltd. is offering spacious and precisely crafted 2 BHK apartments. Sarada Enclave apartments are being designed with every detail in mind and features include RCC frame structure, good quality vitrified tiles flooring in every room, shutter windows with grill, flush doors, concealed copper wiring with standard quality switches and adequate electrical points, and good quality CP and sanitary ware fittings, etc. 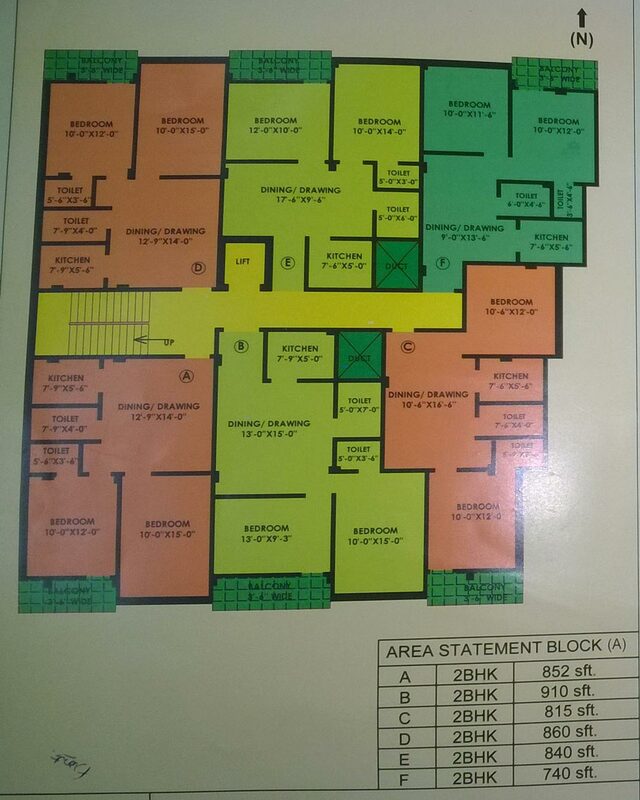 Sarada Enclave plot areas for its 2 BHK flat range from 740 sq. ft. to 910 sq. ft.
Sarada Enclave Kolkata features various amenities and facilities for its residents such as lift, ample car parking space for every unit, 24 hour security facilities, power supply, water supply, children’s play area, fire fighting equipments, open space, and rain water harvesting etc. to name a few. The project puts out a different lifestyle for the modern families of Kokata. Sarada Enclave is based in a happening and lush green locality of Khardaha. The residents can enjoy a serene and calm environment from their well ventilated apartments. Sarada Enclave locality is very convenient for the residents and includes utilities like the local bazaar, hospital, ATM, Pantaloons, Sodepur Main Market, Ganga ghat, and main bus stand etc. including several others. This project gives you the perfect combination of comfort and elegance and aims to enrich your way of living. Local Bazar is available,5 minutes walking distance from Project. Hospital is available 5 minutes walking distance from project. ATM also available 5 minutes walking distance from project. 10 minutes by road Pantaloons and Kolkata bazar is available. 10 minutes by road sodepur main market is available. 200 meter walking distance from Ganga ghat. Toto is available infront of the project. 5 minutes from main bus stand. Khardah is a good locality. It has good Connectivity to Balaram Hospital, Ganga Ghat, Bazar, School & 7 min walking to BT Road. Strategically located close to all the conveniences. Earthquake resistant & RCC foundation. RCC framed structure with columns, beams and slabs. Living Room , Dining Area. Flooring - Vitrified tiles DC (600mm X 600mm). Wall - Plaster of Paris (ready to paint). Ceiling - Plaster of Paris (ready to paint). Main door - Sal wood frames and flush doors with provision for video door phones. Balcony - Aluminum sliding door with full glazing. Windows & Glazing - UPVC, Powder coated aluminum windows with open able and fix combination. Door frame - Sal wood frames. Windows & Glazing - UPVC, Powder coated aluminum windows openable and fix combination. Flooring - Vitrified tiles (600mm X 600mm). Shutter - Flush doors & Windows. Glazing - UPVC, Powder coated aluminum windows openable and fix combination. Modular switches (Schneider, Havells, Anchor or equivalent make) and copper wiring. Flooring - Anti-skid ceramic tiles. Wall - Ceramic Tiles up to 7 ft. height. Ceiling - Plaster Of Paris. Flooring - Anti skid tiles. Wall - Painted to match the exterior elevation.